Tucked away on a small country road, just ten minutes south of Sarlat and a short stroll from the banks of the Dordogne river, Le Petit Manoir de Vitrac is an elegant Perigordian property of the late nineteenth century, surrounded by a vast landscaped park with a heated saltwater pool among hundred year old trees. We invite you to unwind and relax for fuss-free holidays in our charming self-catered cottages , spacious and calm yet close to everything. 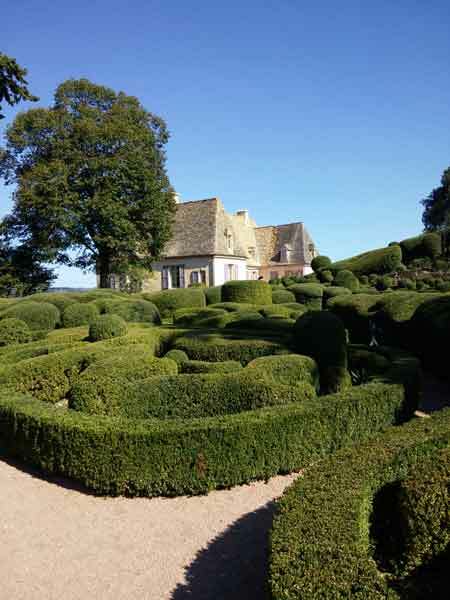 At our doorstep await the most remarkable sites of Dordogne within the Golden Triangle of Périgord Noir, and Sarlat is our famous neighbor, with its old medieval city, its bountiful restaurants and markets. 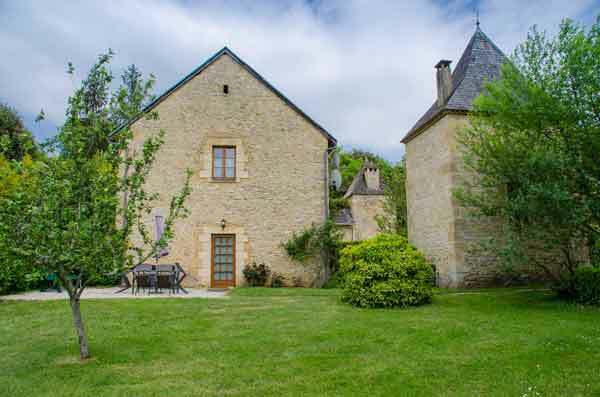 The converted barn and its pretty pigeonnier welcome you in three charming vacation rentals. Our rentals are spacious, air-conditioned or heated by heat pump, and comfortably furnished, each with a private direct access. 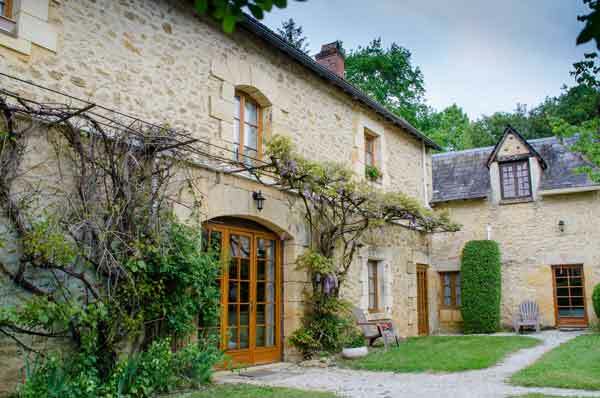 Their lush private garden, with a terrace and a barbecue, invites you outside in the mild Périgourdin climate. Behind a secure gate, the saltwater pool is heated from mid-May to the end of September, with a granite terrace and sun loungers for a nap. The park becomes a family playground during the school vacations, awaiting a game of cricket or a game of badminton or volleyball. We live in the manor next door, and we are here if you need us to provide help or advice during your holidays in our beautiful region. 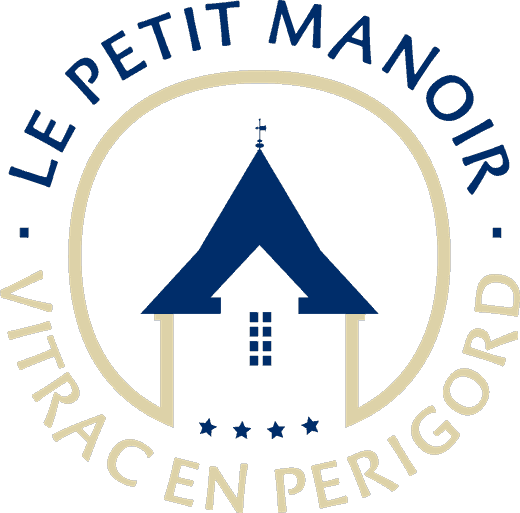 Ideally located for sightseeing, Le Petit Manoir is close to everything! Sarlat is 10 minutes away, by a small backcountry road. The banks of the Dordogne are within walking distance, in Vitrac Port, with a nice beach, canoes and restaurants. 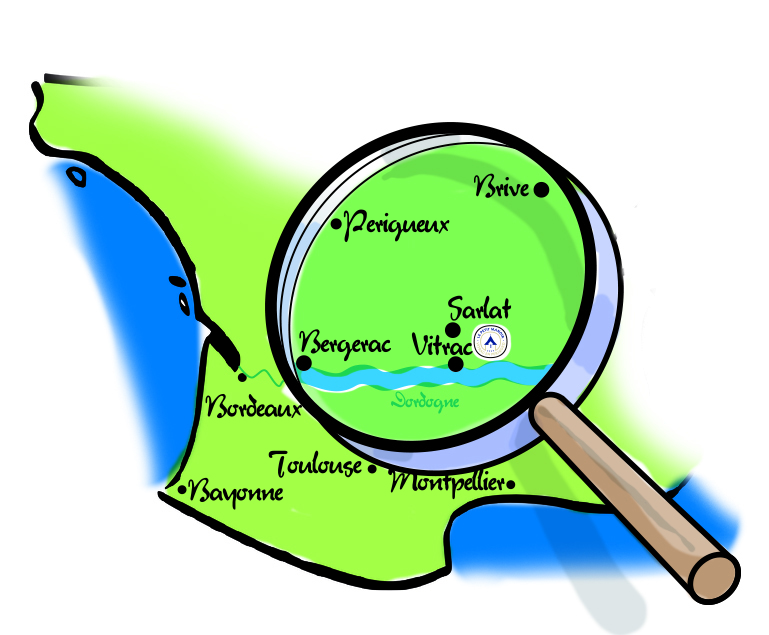 Our immediate neighbors in the "Golden Triangle" are the bastide of Domme, picturesque villages of La Roque-Gageac and Beynac, castles of Castelnaud and Milandes or gardens of Marqueyssac (opposite), to quote only a few. The Vézère Valley and its world-famous prehistoric sites are only a half hour away. The closest restaurants and bakery are in Vitrac and Montfort, 2 minutes away. Within a 5 minutes drive, you will reach either Cénac or Sarlat for all your shopping needs, including stores selling excellent fresh food and wines from local producers, accessible without traffic for a stress-free holiday! For sightseeing, activities, outings or restaurants, the region offers countless possibilities! Take a look at the page "Our region" on this site for a few suggestions. We will be happy to asssit you in making the most of your vacation here.